Description:Available Colour: DONKEYAvailable Size: 82,87,92,97,102,107,112Available Colour: NAVYAva.. Description:Enjoy the difference quality makes with this 100% New Zealand Merino worsted wool jack.. Description:Available Colour: Charcoal POW CheckAvailable Size: S,M,L,XL,2XL,3XL,4XLOur Swanndri pro.. Description:Available Colour: BLACKAvailable Size: M,L,XL,2XLAvailable Colour: BROWNAvailable Size: .. Description:Available Colour: OLIVE/BLACKAvailable Size: XS,S,M,L,XL,2XL,3XLThis high quality flee.. Description:Summer essentials, these cotton Tee’s will have you looking great with our great graph.. 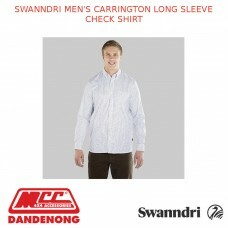 Description:This brand new 100% cotton shirt is tailored with 165gsm ripstop fabric. Its deep black .. Description:This brand new 100% cotton shirt is tailored with 165gsm ripstop fabric. It's jet blue c.. Description:Available Colour: Blue Green CheckAvailable Size: S,M,L,XL,2XL,3XLA light over shirt sty.. Description:A classic cotton singlet that is a staple for any wardrobe. With our classic print on th.. Description :Available Colour: BrownAvailable Size: XS,S,M,L,XL,2XL,3XLProduct Feature :100% Oilskin.. Description:The Bedrock Pant has a "work fit" which is designed so you can climb, bend, crouch and.. Description:Available Colour: Navy/Azure CheckAvailable Size: S,M,L,XL,2XL,3XLCotton and Wool blend .. Description:Available Colour: Midnight /FlameAvailable Size: S,M,L,XL,2XL,3XLCotton and Wool blend w.. Description:The Bowenvale shirt is a tailored fit with 100% cotton. Its soft fabric and brill.. Description:Available Colour: FLIENT STRIPEAvailable Size: 97,102Product Features :100% CottonCasual.. Description:This merino pullover breathes with your body, keeping your temperature consistent and yo.. Description:Made from a light weigh cotton the Buxton shirt is only 105gsm making it one of our li.. Description :This fashionable long-sleeved shirt is made of 100% cotton and, with 150gsm, is light..